A medium bridge positioning creates more balance to the face, creating a versatile look allowing you to match your Flexon 623 glasses to your outfit. When it comes to strong eyewear materials, titanium is at the forefront. If you're looking for classic looking high quality eyeglasses that will last you some time, opt for a pair of titanium frames like these; they're comfortable, strong, durable, and also hypoallergenic. 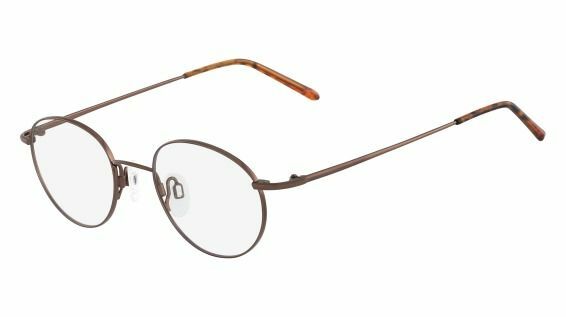 Manufactured with adjustable nose pads, these eyeglasses will help you find the perfect comfort, ensuring no indentations will be left on your face. It's time to add a bit more life to your wardrobe, and these fun teacup shaped Flexon 623 frames can do just this. Live a little more, enjoy life, and be free-spirited, because life's way too short to be worrying about what others thinks. Instead of conforming, be the trendsetter and live on the wild side. If you've got a rectangular or square shaped face, you'll be able to soften your look and stay right on trend with these quirky teacup frames. No star can ever shine without darkness, which is why these cool-looking Flexon 623 frames will make you stand out from the pack. Who wants to blend in with the crowd when you can be your own unique you with a pair of trendy eyeglasses? Order was for Flexon frams without lenses. Good price, fast shipping, exactly as ordered, with original packaging and case. Great!